Many people are familiar with the off-season and high season concept at Walt Disney World, but let me inform those who don’t know about it, and recap for those who do. WDW goes through a series of “seasons” throughout each calendar year. They are the Value Season, Regular Season, Summer Season, Fall Season, and Holiday Season. 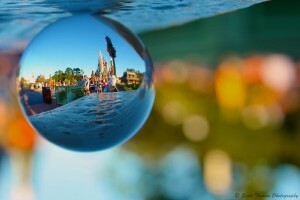 To learn more about Disney World seasons and room rates, click here. Basically put, one of the best ways you can save money at Walt Disney World is to book during the off-season or Value Season. Not only will the rates be less expensive, but crowds will be down, airfare is typically cheaper, and you’ll get a nice break from the wintery weather in sunny Florida! *TIP: It’s always helpful to use a crowd calendar in conjunction with the seasons to make sure you know what kind of crowds you’ll be up against before you book your trip. My favorite can be found at www.touringplans.com. Periodically, Disney offers discount codes on room rates and vacation packages to the general public. 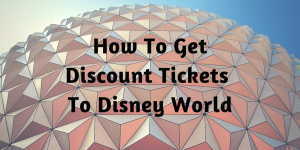 Check out my post on Disney’s Special Offer Page to learn more about them! You can always contact the Disney Reservations Center at (407) 939-1885 to ensure you get the correct codes for your booking. Every year Disney runs a military discount promotion that is good for that calendar year. For2016, the offer will include a 4-day park hopper promotional ticket and is available for purchase until December 19, 2016. Active or retired Eligible Service Members or their spouses can purchase tickets at participating U.S. military sales outlets, and eligible members may purchase up to six tickets. 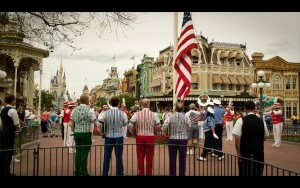 *TIP: There is a frequently-run “Stars and Stripes” promotion, but it isn’t always offered. Call Shades of Green at 888-593-2242 before booking to see whether it will be available during your stay. 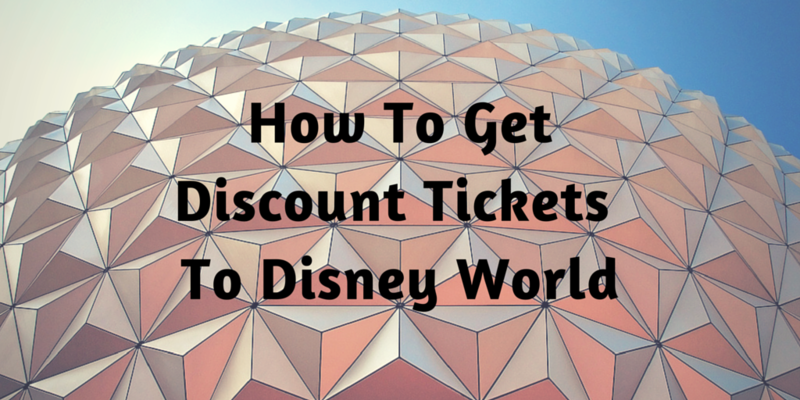 There are lots of wholesalers out there that claim to sell discounted Disney World tickets. Most are a scam, so be careful and check the source if you choose to buy from a third party. There are, however, three official, legitimate wholesalers authorized by Disney to sell park tickets. They are Undercover Tourist, Official Ticket Center, and Park Savers. Head over to these sites if you’re looking for the fastest, most reliable way to get significant ticket discounts. These wholesalers are especially valuable if you’re purchasing tickets for 6+ days. No Park Hopper? Are you sure? After having gone to the parks multiple times over many years, I’ve found that we tend to do one park a day (even if it’s not for a whole day). Josh and I like to take our time and relax on our vacations as well as schedule some down time to do non-theme park activities like hanging around the resort or going to Disney Springs. This usually means that we only do one park a day, and aren’t as focused on park hopping to get in all the rides we possibly can. I have to say that this is completely subjective and it is up to you whether or not you want to forego the park hopper. Think about what kind of vacation you want to have – relaxing or action packed – and that will help you determine whether or not the park hopper is right for you. I’ve often fallen prey to thinking that I need the hopper “just in case,” but the last several times I’ve been to the parks, I rarely (if ever) use it. A word to the wise, the park hopper adds $80 per ticket, so depending on your party size, you could save a significant amount of money by skipping this option. The savings from the DVC (Disney Vacation Club) membership can vary, though every year there is always a significantly good offer. The largest savings come in the form of a discount on the Disney Platinum Pass, with the DVC offer allowing a member to purchase an AP for $649 as opposed to the normal ticket price of $749. Also offered in 2015 was a 4-day park pass for $199 a day, coming out to a total savings of about $100. Basically, the savings for a DVC member go up the more days out of the year they visit. It’s a standard “the more you buy, the more you save” campaign that encourages people to spend more. These discounts aren’t guaranteed, but if you can get a good deal and are planning to visit enough days, they can definitely be worth it. Obviously, DVC members save on room rates (in a sense) since they aren’t actually paying the nightly rate, but rather pay an annual premium to maintain their timeshare. If this is built into your normal monthly expenses, it works out great and feels like you are staying in your hotel for “free.” Other DVC discounts include dining discounts with a savings of 10-20% at 60 of the restaurants on property, and 10% discounts on all park merchandise. 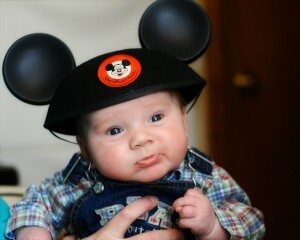 A lot of people ask me if it’s worth it for them to buy an Annual Pass to DIsney World. And the answer is always the same – it depends. The current ticket prices are roughly $100/day (not including the park hopper option). However, as you add more days to your trip, the daily rate goes down. So, if you are staying 5 days, it costs $63/day, or if you are staying 10 days, it’s $36.50/day. Here’s where your savings come in. Disney’s ticket packages only go up to 10 days, so if you plan on staying any longer, or plan on making multiple trips a year, you basically have to start all over, and will be tacking on ticket prices at $100/day again. Make sense? So, if you plan a vacation that is 11 days long, you’ll be paying about $621 a person before taxes and fees. The Disney Platinum Pass is $749 per person (or $649 if you are a DVC member), which allow you entrance to the parks any time for one full calendar year. Plus it is about the same cost as one 10 day ticket package plus a one day ticket package (11 days total). With this math, if you are planning to visit at least 11 days, you might as well purchase the AP and have the ability to visit more. If you plan on visiting Disney World at least 11 days out of the year, the Annual Pass is worth it. The Disney Platinum Plus Pass gets a little pricier, but includes admission to water parks, ESPN Wide World of Sports Complex, and Disney’s Oak and Trail Golf Course. The APs are great for international travelers that are taking a long holiday in the States or for local and regional visitors who can make the trip to Disney World for at least those 11 days throughout the year. *TIP: If you’re considering purchasing an AP, but are worried about time off, remember that the days used are good for one calendar year. So, you could take a vacation in July one year for 5 days, then take another vacation the next year at the end of June for another 6+ days. You still have only purchased one AP, but are getting two summer vacations out of it. On top of the potential daily ticket savings, Annual Passholder savings can be significant once you’re inside the resort. AP hotel rates can be up to 45% off (in the off season), and are released about 2-4 months in advance. You can book up to three rooms per Annual Pass at the reduced rate. AP holders also have access to free parking in all of the parking lots on property, and AP holders qualify for the Tables in Wonderland program. Formerly know as the Disney Dining Experience, Table in Wonderland gives you 20% off at most Walt Disney World full-service restaurants and some quick service restaurants for parties up to 10. Those with small kids may not want to do the Park Hopper anyway. One park a day is usually more than enough. If you’re planning a Disney vacation soon, be sure to download my totally customizable, FREE Vacation Planner! 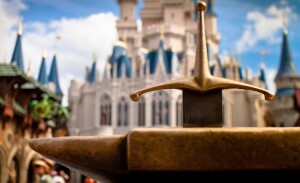 For more Disney in your day, follow @everafterreport on Instagram.